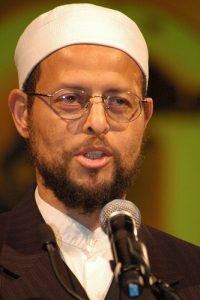 Imam Zaid Shakir is the co-founder of Zaytuna Institute and is Imam of the Lighthouse Mosque in Oakland, California. He is well known as a religious thinker, speaker, educator and activist for justice. Here he speaks beautifully about the necessary qualities of a successful marriage. The Imam pointed out that while today shyness is often seen as a personality flaw, in Islam shyness or hayaa’ is a branch of faith and is a virtue. Another important quality is beauty. While it is important for marriage partner to beautify themselves for each other, it is more important to beautify themselves spiritually, because physical beauty fades, but spiritual beauty can grow and increase. The relationship that was once sustained by physical beauty is then sustained by spiritual beauty. Imam Zaid mentioned permanence. He said that the newlywed couple enters the marriage with an attitude of permanence, firmly intending to be together for life, and even after life in the aakhirah inshaAllah. By holding to this concept of permanence, they ensure that they will remain together through good times and bad. Remembrance of Allah is another key. Keeping the remembrance of Allah on your tongues, in your lives and in your homes, prevents Shaytan from interfering with your marriage and causing division between you.